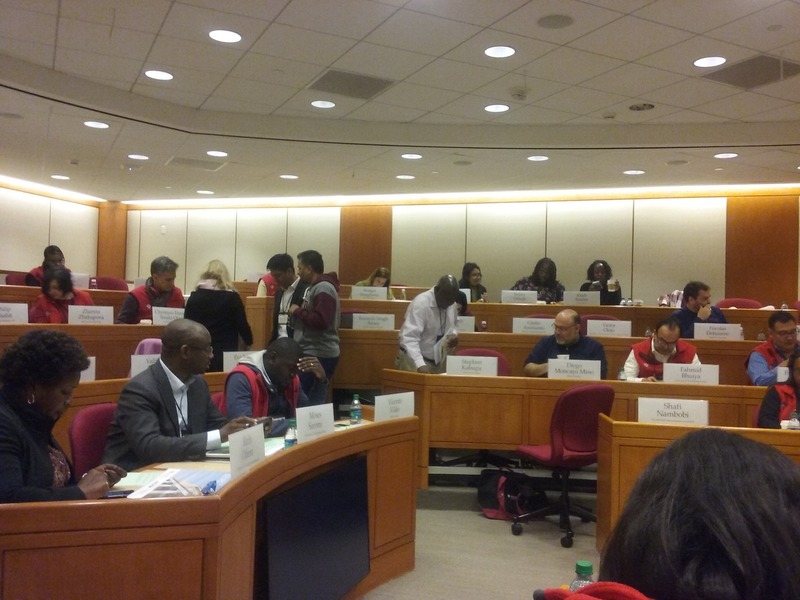 As part of InFiNe.lu scholarship Programme, Hélène Keraudren Chief Financial Officer at the Grameen Crédit Agricole Microfinance Foundation, is attending the Harvard Busines School (HBS) – Accion Programme 2019 on Strategic Leadership in Inclusive Finance as InFiNe.lu grantee. She gives here her insights of her experience in Boston day by day. Read her feedbacks of the first 3 days here. 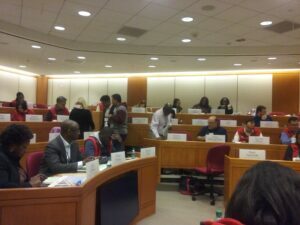 These questions really echoed with the discussions we had on the ‘disruptors’ the previous day! After the incumbents and the disruptors, off we go to the investment side of things… four case studies on impact investing both looking at the landscape of investors and at the measurement of impact. The underlying idea is that for there to be an investment, there need to be investors, and for the latter to be attracted, there needs to be market-financial return. It is a bit of a shortcut, and channeling capitals from where they are today (the market) to where we’d like to use them (inclusive finance) cannot just be about providing high ‘market returns’. Yes, you can “make a great social impact and have high financial return”, but is that necessarily to say that you must make a high financial return to be a valid and credible investment opportunity? 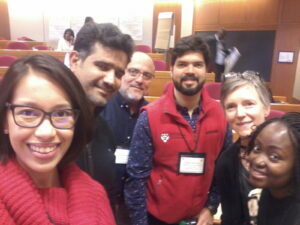 Part of the question is what do you want to do with the social value and financial value that is created? Another question comes to mind: is this ‘high-financial-return’ discourse one of ‘inclusive capitalism’, or are we not excluding de facto some great businesses that are sustainable, create high social impact but are not actually focused on maximising financial return? 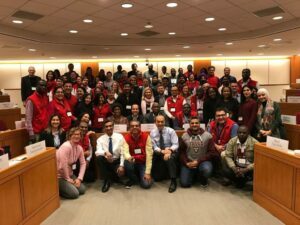 The case studies showed different approaches to impact investing, (fortunately) with one fund having investment tools ranging from market-return equity all the way to grants. It is vital that the investor landscape continue to offer a range of options that are adapted to the development stages and to the nature of the business models. Innovative tools such as social impact bonds are an extremely interesting option, in that respect… and an encouraging perspective: 57% of the millennials say it is important to them that their investments align with their values. Does that make for more capital available for impact investing in the near future? The other topic we touched on today is impact measurement… quite a complex topic. How do you define metrics, demonstrate causality, measure outcome? There are basic tools with their limitations (subjectivity? comparability?) and more complex ones with their own limitations (cost and time consuming). The Acumen example showed different tools which seemed to strike an interesting balance. Some were useful to analyze investment opportunities, others to provide management and investors with valuable feedback from their clients. The final case studies of the programme focused on business models serving the base of the pyramid “people who play with your clients, but do different things” as our professor put it. There is the famous Shakti model in India, which Unilever developed in order to reach a new customer base: rural India, a huge untapped market. The motivation behind this move is essentially a commercial one: how to reach these populations and keep the company’s growth going, in the wake of India’s market opening up to competition. The initial motivation is commercial, and there no claim of social benefit or mission. But there is an intention to reach out to this untapped market. This intention leads them to promote public good (social communication programmes, etc.) so that they can then push their private goods. The intention is absolutely necessary: this is what has driven Unilever to adapt over the years, to understand where the blockages lie and find solutions that could serve the Shakti ‘entrepreneurs’ in order for them (Unilever) to achieve their commercial objective of higher sales. This is an interesting model, but it also raises questions on some social side-effects (the environmental toll of the single-dose, impact on traditional small retailers, making consumption more expensive for the poor…). A different model is when the initial motivation is social: how to make healthcare (pharmacies, cataract surgery) accessible to the poorer household when the state fails on these missions. In Mexico, Farmacias Similares was successful in making generic medication and first-touch medical care accessible to all. With his very clear understanding of the needs of the poorer households, the failures of the public system and the pharmaceutical value-chain, “Dr Simi” was able to set up a successful and well-expanded network of pharmacies that treat clients with respect and provide them with “a lower price for quality medicine”. Part of the model was about shifting profits from the big pharmaceutical companies to the wallets of the poor; another part is about providing speedy (and quality) first-touch medical care where families save time and are thus encouraged to consult more frequently. Of course, healthcare is a much broader problematic, and the Pharmacies Similares do not cater for more complex medical conditions but they have very successfully filled the gap on part of the spectrum. The Aravind Eye hospital also chose to focus on one single (large scale) problem: needless blindness. The very passionate founder of Aravind has set up a cross-subsidising model where margins on paying surgery cover the costs of free surgery provided to very poor patients. When analysing the key factors of success of the model, passion and purpose come out as essential as do quality and efficiency, and also the focus on a single problem. It could have seemed sensible for Dr V to accept proposals to work on prevention programmes, but he chose to remain fully dedicated to the one cause he had embraced which was providing as many as possible high-quality cataract surgeries to the poor. This man was driven by passion, which transpired into the organisational structure; while strategy is important, building organisational culture is key. These very inspiring cases bring interesting teachings to us in the wake of the disruption created by Fintechs: new technology should bring quality and effectiveness, not just efficiency – it must get you closer to your clients, so you don’t lose the focus on serving your clients’ needs. As leaders of the industry, we also see the value of building an organisational culture in which social mission and client centricity are engrained; without a culture that encompasses these values, strategies will not yield the results they should.